On the first day of this summer term, Headmaster Lawrence Coen welcomed back the whole school in a special service held at the Prep Department. The Summer term presents challenges for pupils across the Trinity community, including those taking their first steps in the Trinity community in Prep as they prepare to move up to Reception and Prep 1, the senior members as GCSE, A level and more examinations loom, and all who want to ensure they finish the year strongly in order to be best placed for the next academic year. 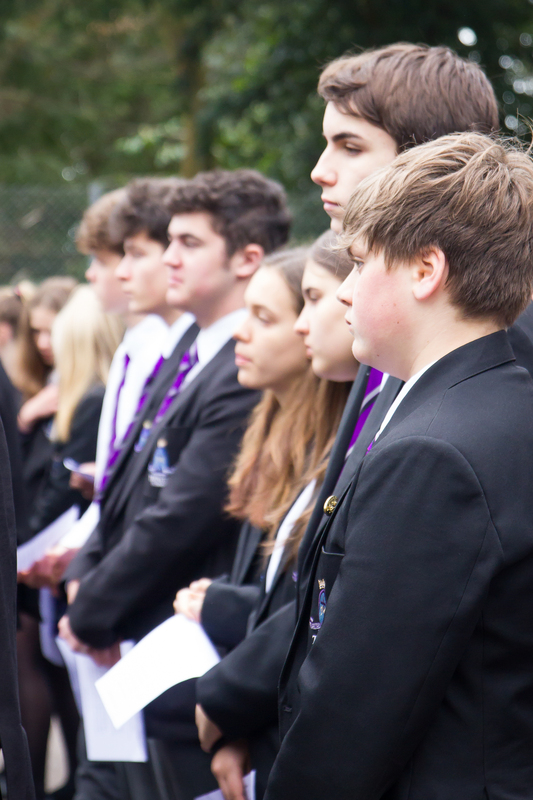 The service included the school song 'Lord For the Years' and the popular hymn 'Dear Lord and Father of Mankind.' Prayers for the new term were read out by Amelie Coen from the Prep Department and Jean-Luc Chenery, our current head boy. There was also a talk from the school chaplain, Rev Jonathon which focussed on the question 'Who do you want to become?' drawing inspiration from the story in John 21 of the risen Jesus meeting Peter on the beach. A copy of Rev Jonathon's talk can be found here.